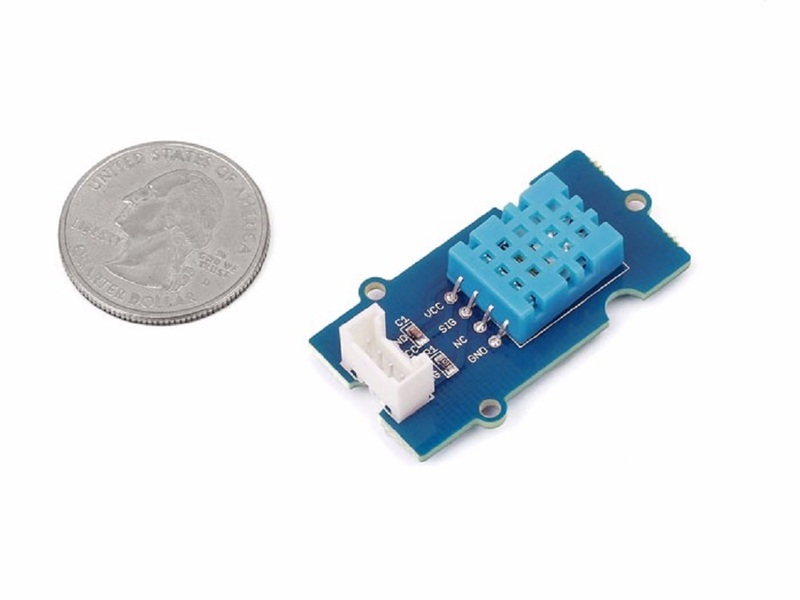 This Temperature&Humidity sensor provides a pre-calibrated digital output. A unique capacitive sensor element measures relative humidity and the temperature is measured by a negative temperature coefficient (NTC) thermistor. It has excellent reliability and long term stability. Please note that this sensor will not work for temperatures below 0 degree. Step 2. Connect Grove - Temperature&Humidity Sensor to port D2 of Grove-Base Shield. Step 1. Download the Seeed DHT library from Github. Step 3. 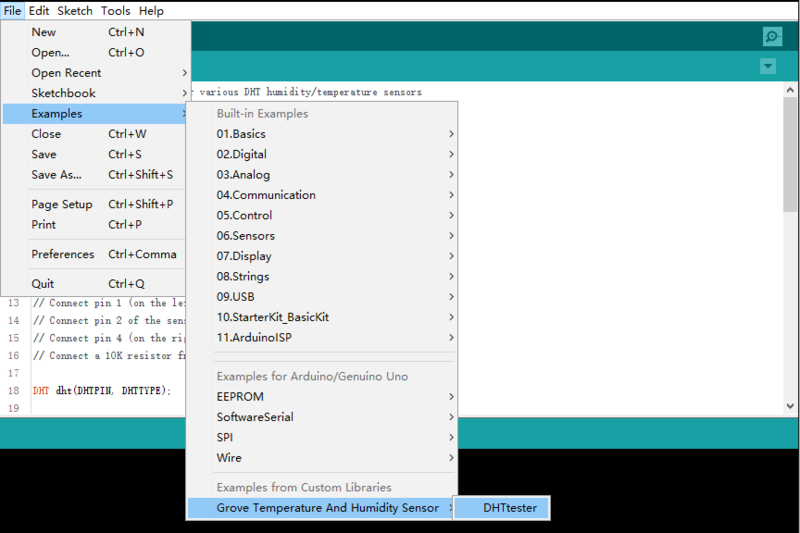 Restart the Arduino IDE. Open “ DHTtester” example via the path: File → Examples → Grove_Humidity_Temperature_Sensor-master → DHTtester. Through this demo, we can read the temperature and relative humidity information of the environment. The default setting of the library is DHT 22, so you need to change it into DHT 11 manually. Step 1. 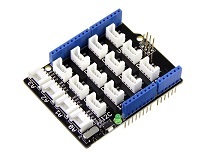 Connect a Grove - Temperature&Humidity Sensor to port D2 a Base Shield. When the code finishes uploaded, you will see temperature and humidity displayed in the Serial Monitor. Step 3. 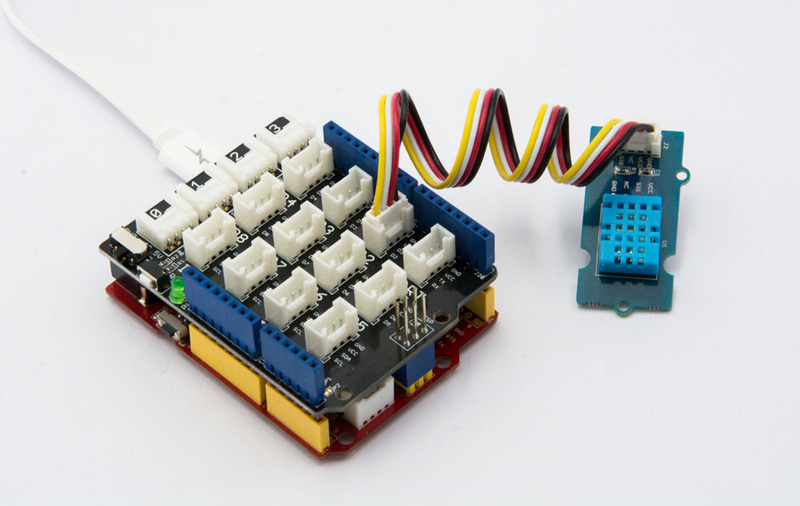 Connect the temperature and humidity sensor to Port 12 of the Base Hat. 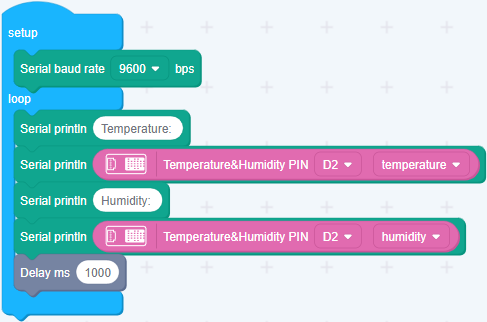 For step 3 you are able to connect the temperature and humidity sensor to any GPIO Port but make sure you change the command with the corresponding port number. 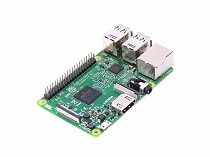 To run this program, the command line should be +++python grove_temperature_humidity_sensor.py DHT type pin+++. 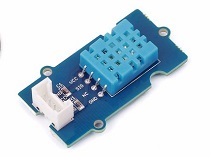 As for this module, DHT type is 11 and we connected temperature and humidity sensor to pin 12 in the above case. 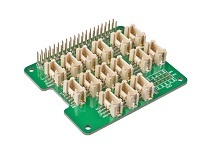 This Grove - Temperature&Humidity Sensor and our another product Grove-Temperature and Humidity Sensor Pro are sharing the same python code which named 'grove_temperature_humidity_sensor.py'. The only difference is that the DHT type is 22 for Temperature &Humidity Sensor Pro and 11 for Temperature & Humidity Sensor. 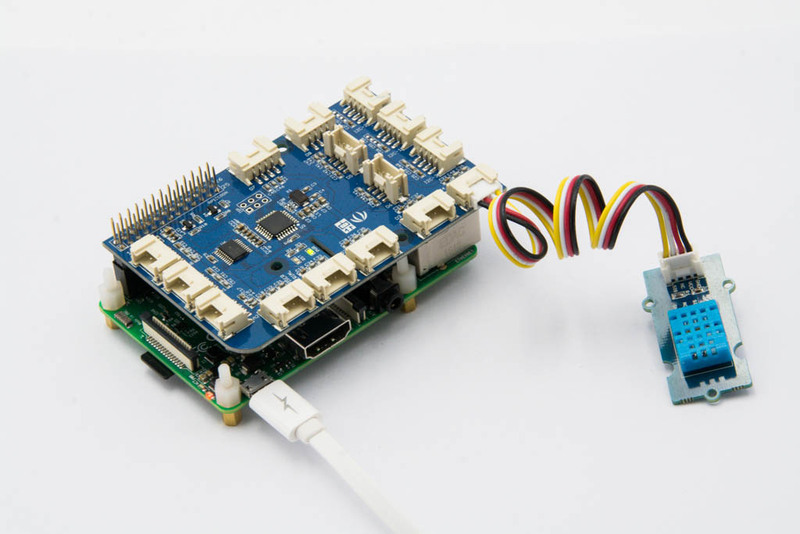 Following is the grove_temperature_humidity_sensor.py code. return None, "pullup by host 20-40us failed"
Step 3. 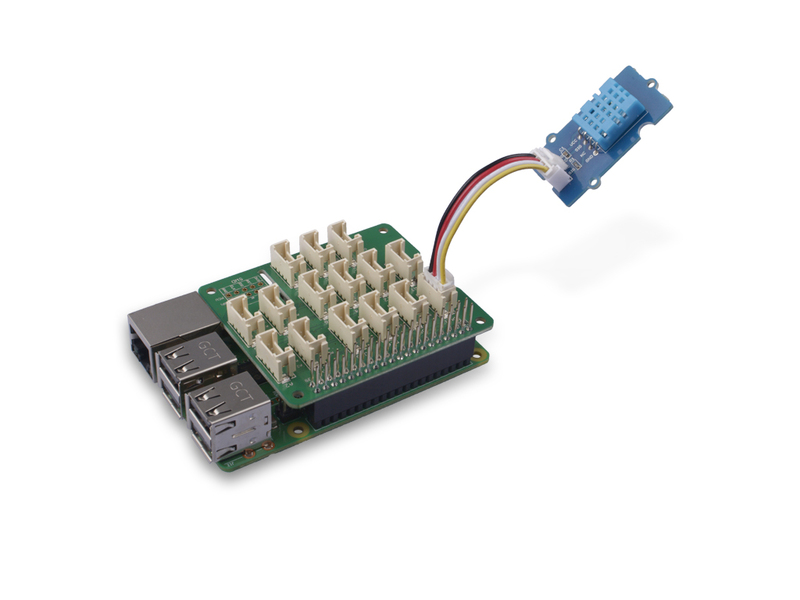 Connect Grove - Temperature&Humidity Sensor to D4 port of GrovePi_Plus. # This example uses the blue colored sensor. sensor = 4  # The Sensor goes on digital port 4. 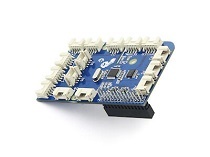 # Grove Base Kit comes with the blue sensor. blue = 0    # The Blue colored sensor. white = 1   # The White colored sensor. # The first parameter is the port, the second parameter is the type of sensor. 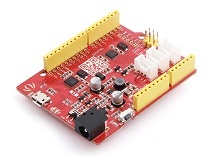 The Grove - Temperature&Humidity Sensor and the Grove - Temperature&Humidity Sensor pro share the same python code which named grove_dht_pro.py. The only difference is that for the sentence [temp,humidity] = grovepi.dht(sensor,blue). We use the parameter blue for Grove - Temperature&Humidity Sensor while we use white for the Grove - Temperature&Humidity Sensor pro. The default value is blue, so for this sensor you do not need to change the code. Step 5. Excute below commands to get the value. Toilet Management System: Using the system multiple persons can share a single toilet efficiently.